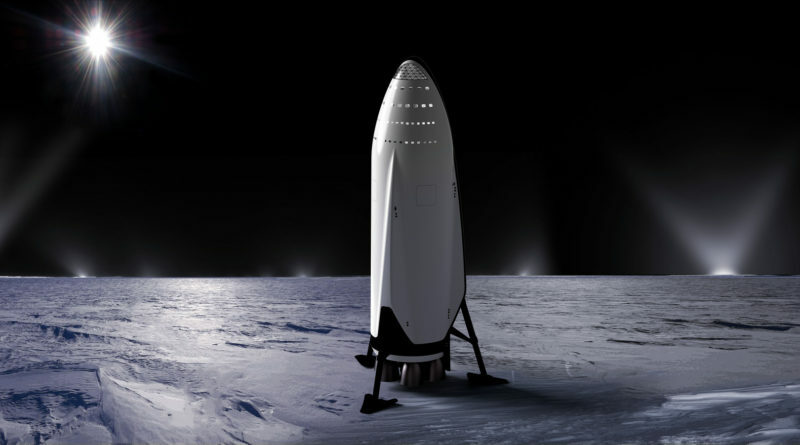 SpaceX says it will send someone around the Moon on its future monster rocket. Elon Musk’s spaceflight company announced Thursday that it will send a private passenger to fly around the moon on its next launch system, the Big Falcon Rocket. The voyage is “an important step toward enabling access for everyday people who dream of traveling to space,” SpaceX said on Twitter. SpaceX did not give a potential launch date or other details, but those may come Monday night, when the company said it would reveal the identity of the passenger. This gives us a full weekend to speculate, and speculate we will. Because this trip, if it indeed moves forward—SpaceX previously announced and scrapped a similar plan—would make history. And not because the voyage would be developed, funded, and operated by a commercial company, rather than NASA, but because the passenger is probably unlike anyone who has made the journey before. Only 24 people have been to the moon. They were all American, male, and white. So, who could this mystery moon traveler be? In February of last year, SpaceX announced it would send two paying customers on a trip around the moon aboard the company’s Falcon Heavy rocket sometime in 2018. The plan never materialized, likely because Musk eventually decided not to certify the Heavy for human spaceflight and focus on the development of the BFR instead. The identity of these private citizens was never revealed, though Musk did say that “it’s nobody from Hollywood.” The passenger SpaceX plans to fly on the BFR may be one of them. The passenger doesn’t have to be a U.S. citizen. SpaceX will someday fly Americans, yes, but these will be the astronauts that NASA has chosen to test the company’s crew transportation system, which the space agency wants to use to ferry astronauts to and from the International Space Station. Unlike that project, the BFR is not affiliated with or funding by NASA. After the announcement Thursday, when a Twitter user mused whether the lucky passenger may be Musk himself, Musk responded with the emoji for the Japanese flag, prompting some to throw out names of wealthy Japanese individuals with an interest in tech. Russia, China, and India have all said they hope to put their astronauts on the moon, with India aiming to do so as early as 2022. SpaceX may beat them, and give another country the historic first. Perhaps the voyage will record another first, for women. The Soviet Union sent the first woman to space, Valentina Tereshkova, in 1963. Twenty years later, the United States sent Sally Ride. As of March of this year, 60 women from nine countries have gone to space, and several of them have made multiple trips, according to NASA. But none have been to the moon. The bottom line, of course, comes down to money. The BFR passenger is a paying customer, which means they are certainly very, very rich. SpaceX is quite secretive about the cost of flights on Falcon 9, its workhorse rocket, but even that may not be the best comparison. The BFR will be much bigger than a Falcon 9, and in spaceflight, the heavier something is, the more expensive it is to launch. Virgin Galactic, Richard Branson’s spaceflight company, will charge $250,000 per ticket on its winged space plane, which is undergoing testing. Blue Origin, Jeff Bezos’s company, will reportedly charge between $200,000 and $300,000 per ticket for flights on its New Shepard vehicle, also still being tested. But both of these will provide suborbital spaceflights, which means passengers will not leave low-Earth orbit. The farther you travel in space, the more expense it gets. If this concept becomes reality, the mystery passenger—and the flight engineers picked to accompany them—will have plenty of leg room. Their experience will be very unlike that of Jim Lovell and his fellow astronauts, who were packed like spacefaring sardines in the lunar module. The view, however, will be the same. The window will fill up with the slate gray of the moon, with the texture of the ridges and craters of its surface. And then, as the spaceship circles the moon, the Earth will slink into view from behind it. “Oh, my God! Look at that picture over there! Here’s the Earth coming up. Wow, is that pretty!” exclaimed one of the NASA astronauts 60 years ago when he snapped a photograph of that view, the now iconic “Earthrise” shot. Whoever the mystery SpaceX passenger is, let’s hope they don’t forget to pack a camera.